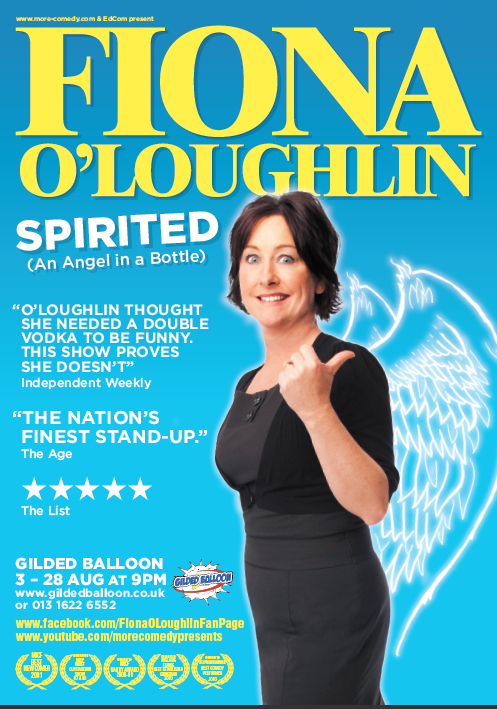 In 2009, Fiona O’Loughlin’s popularity was at an all-time high. With a starring role on Strictly Come Dancing and a TV career on the ascent, she chucked herself off the wagon in spectacular style. Collapsing drunk onstage at a prestigious theatre performance in Brisbane in front of 600 alarmed audience members; her private addiction became instant national front page news, and from there Fiona’s journey back from the brink began. Spirited (Tales from an Angel in a Bottle) is the often poignant and always hilarious tale of Fiona’s journey from rock bottom to redemption (well almost redemption….). A breathtakingly candid, wickedly funny look at what happens when a personal battle with booze becomes very public indeed, Spirited… is the long-overdue return to the Edinburgh Fringe from Australia’s undisputed Queen of Comedy.